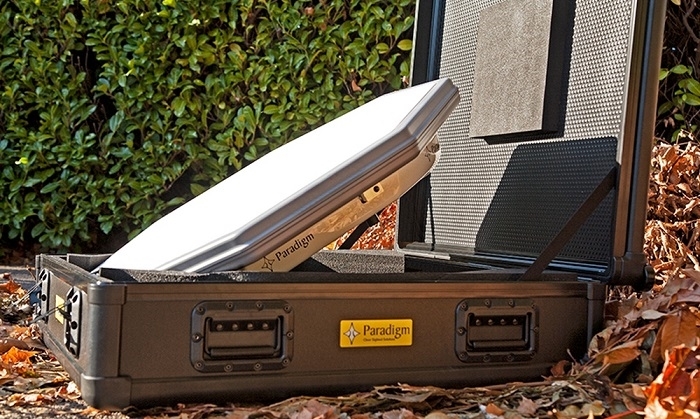 Kymeta and Paradigm have partnered to create an enhanced portable terminal solution for military and emergency responder customers called the MANTA. The MANTA, which integrates the Kymeta™ KyWay™ terminal together with Paradigm’s Interface Module (PIM) controller, offers increased capabilities to users needing reliable communications on-the-move. Military and first responder users who need connectivity for remote incident response, in urban environments where existing infrastructure is compromised, or elsewhere in the world where operations demand reliable communications now have a rugged, easily transportable, and mobile connectivity solution. The MANTA is an all-inclusive solution available in one case that needs just one cable (to connect power) to start working. The system can operate out of the case or be put on the roof of a vehicle in a matter of minutes which eliminates the need for complicated wiring and rack-mounting components. The MANTA is now shipping with an iDirect X7 modem and can support modems from various suppliers. Kymeta KĀLO™ network connectivity services can also be bundled with the solution for complete global coverage. The partnership marks a strong collaboration between two of the most innovative players in the mobile satellite communications market. The KyWay terminal is the first solution and the world’s only commercially-available, flat-panel, electronically-steered satellite terminal. 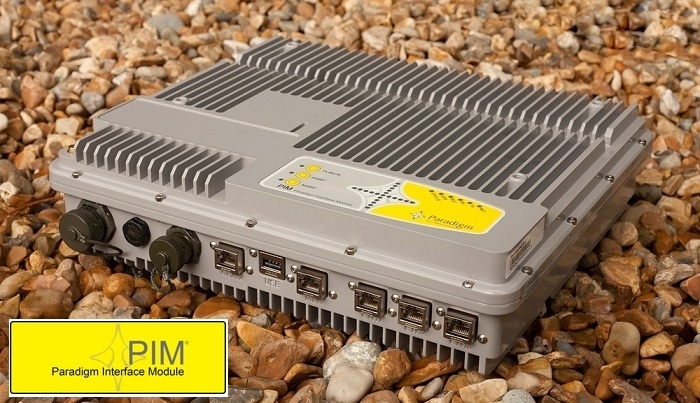 The PIM terminal controller has a proven track record from its existing integration into a range of satellite terminals. To know more, click here.